Message taught by Ray Comfort. For years Ray Comfort has received mail from heart-broken parents whose children had made a commitment to Christ at a young age, but who became involved in drug abuse or an immoral godless lifestyle. This tragedy need not happen if parents follow certain simple guidelines. 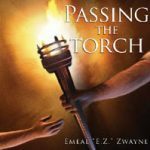 These are both biblical and practical principles that Ray and his wife followed with their three children. Although they were warned by friends that they would rebel in their teenage years, it never happened. Their children didn’t give them one moment of grief. “How to Bring Your Children to Christ . . . and Keep Them There” will put these grief-saving principles into your hands. 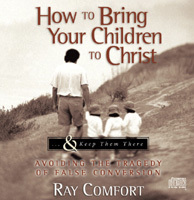 Be the first to review “How To Bring Your Children To Christ (CD)” Click here to cancel reply.